Do you want to book the Royal Spuds, order merchandise or just have a question? Feel free to send us a message. We will get back to you as soon as possible. 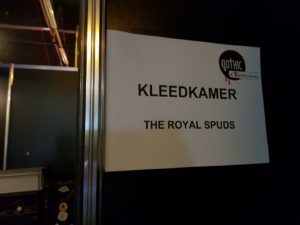 Melkweg – You were AWESOME! It was an night of epic awesomeness! 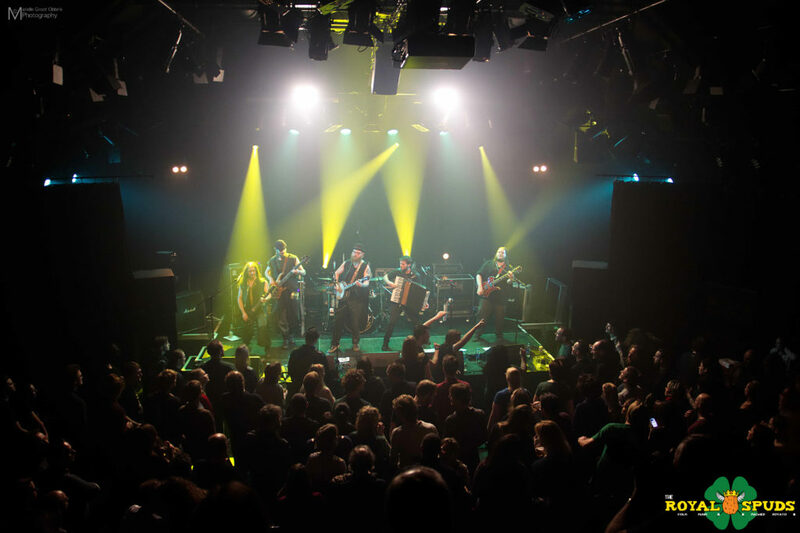 Thank you all who came out to support us as we headlined at the Melkweg in Amsterdam! The show at the Melkweg was a part of our Unforgotten Tour, we are doing together with Detergent! Check out our calendar and keep an eye on our facebook page for more shows! Our EP, “Unforgotten Lore” is available through on of these links. 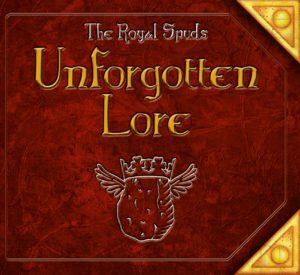 “Unforgotten Lore” – Out now! We can finally officially present our new EP to you all: Unforgotten Lore! Give it a listen on Spotify, iTunes or whatever else you feel like using one of these links! There are 4 more stops on our “Unforgotten Tour!” Check out our calendar where we will be playing next! Since we’ve finished recording, mixing and mastering our new EP “Unforgotten Lore” it’d be a shame if we didn’t plan you a great big party to celebrate! You’re all invited to our FREE ADMISSION release party at Fort33, Leusden! And why stop there? We’ve managed to put together a little tour trough (bits of) the country during January and February! Check our shows calendar for the tour dates and information! There’s 7 tour dates on the calendar for now but we’re working on even more shows! We’re throwing a RELEASE PARTY on December the 29th with all of you and some good friends from other bands as well! So make sure you’re there! Amazing month (and a bit)! We can easily say that we’ve had an amazing and busy few weeks! A bit more than a month ago we had an amazing evening at the Gebr. De Nobel, where we opened for The Rumjacks. It was awesome to see so many people turning up and party with us there! Two weeks later we visited Fredenna (in Germany), followed by Middeleeuws Festijn De Kelder the week after. 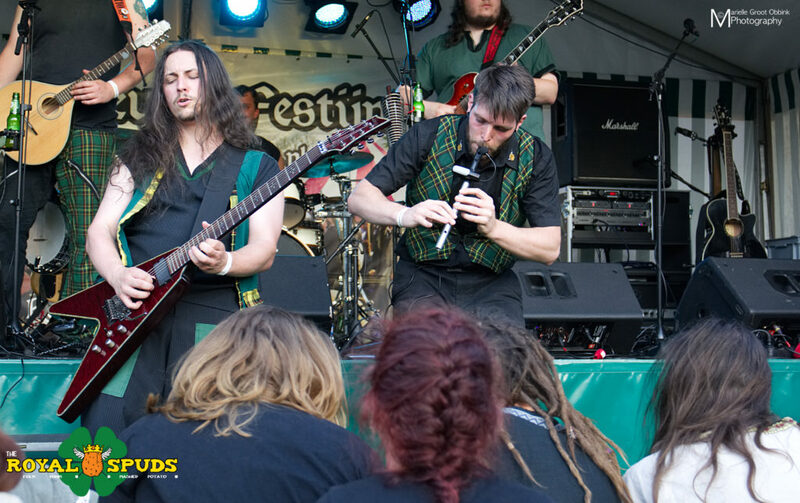 At both festivals, we threw a big party with our fans, old and new! We want to thank all of you for being there with us! We hope to see you all soon again! Only two weeks left before we share the stage with the amazing band The Rumjacks! We hope you’re all are as excited as we are! Did you get your tickets yet? If not, you can order them here! 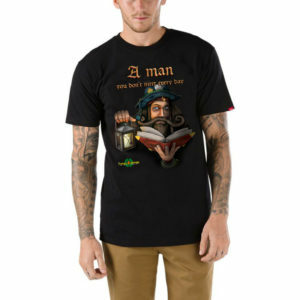 If you like this shirt, feel free to order one here! Orders will be taken till the 22th of april ONLY. If you have no idea what the hell kinda “new single” we’re on about: enjoy our new single down below! Our new single is here! It has taken a while to get to record and release something new but we proudly present our new original track “A Man”! It’s something a little different than what you may know from us so we’d love to know your opinions! As always the mixing and mastering was done by our very own Robin Janssens and the artwork has been created by our very talented bass player Dave Schrijvers! Give the song a listen HERE on a streaming platform of your choice and let us know what you think! We’re working on more new material to bring to you in the near future so this is just a taste of things to come! We’ve been nominated at the Bastaard Fantasy Awards! Yes, you’ve read that correctly! Bastaard has nominated us for an award! We’re competing for the position of “Best Live Act in Holland and Belgium” so we’re keeping all available extremities crossed! If you think we should win you can cast your vote for us HERE! The award ceremony will be held at March 3rd at the QBus in Leiden. We won’t be performing ourselves but we’ll be there to cheer on all the winners! We have been quite busy over the last few months. We’ve had a summer full of festivals but after that we still had some awesome shows on our schedule. 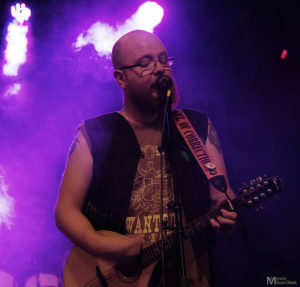 We’ve uploaded a bunch of great pictures from our awesome gigs in Leiden and Rijswijk! Also: we recently celebrated fact that our lead singer managed to stay alive yet another year! Even though it’s already a few weeks ago we remember our gig at ‘t Leids Ontzet ( also known as 3 Oktober ) like it was yesterday. Our “home” city of Leiden celebrates the anniversary of the liberation from the Spanish army that day. It’s a great excuse to drink (a lot of) beer and have a great time. And what better way than playing outside on a nice stage in front of ‘t Stadsbrouwhuis! And what a party it was! We want to thank everybody there for the amazing time we’ve had playing ( and not drowning in the canal while we’re at it). For an impression of the gig check our newest photoalbum here! Two weeks after that we celebrated the birthday of our amazing frontman Maarten van Vliet. ( Hooray! ) This brings us to last weekend, where we were invited back to the marvellous indoor festival “The Gothic & Fantasy Beurs”. It was amazing to play at that stage again for you guys! If you missed the gig, check a few of our songs below which was live streamed by the amazing crew of Celtcast! ( video in link below). Hungry for more? We also added some cool photos for you to enjoy! We recently became a part of Friendly Folk Records! Needless to say we’re very proud of that! To celebrate the occasion we’re happy to announce the official Friendly Folk Launch Tour! The kickoff will be on the 4th of November in Utrecht alongside some of our folky buddies! The dates and locations for the following gigs will be announced Soon(tm) so keep your eyes peeled! Join us for a fun filled night together with our friends from LQR! There are more bands playing but we’re keeping those a secret until next week! Check the Friendly folk event page to find out! Pre-sale tickets (available here) are €12. Tickets at the door will be €15. We also want to congratulate Frienly Folk Records for hitting the 200 likes on facebook! If you don’t think 200 likes is enough, like the page here! We are looking forward to this party and hope to see you at the stage! Did you enjoy one of our shows? Give us a review on Facebook!